What a year it has been for Andrew Robertson. Signed from relegated Hull City for less than £10 million, he made a limited impact at Liverpool in his early months. Jump forward 12 months, and he has arguably established himself as the best left-back in the Premier League. 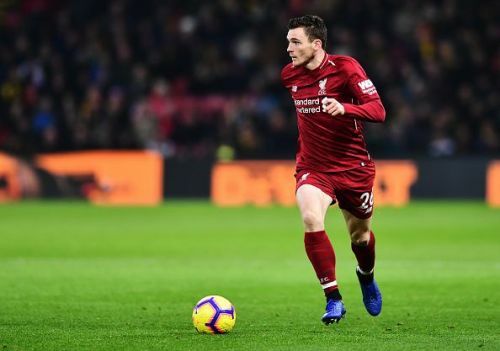 Robertson is a beast at both ends, and he runs endlessly on the left flank for Liverpool. His form has continued this season as well. He has become the captain for his national side Scotland, which is just one of the signs of his huge strides. Virgil van Dijk is another expensive recruit who is paying dividends for Liverpool. The Dutch international was signed from Southampton last January for a world-record £75 million fee. The past year has seen a radical improvement in Liverpool's backline, and it has been no coincidence. He has been a mainstay in Jurgen Klopp's defence since signing for him. 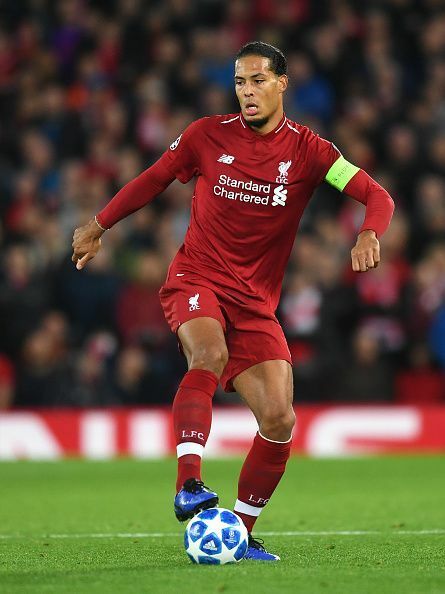 Van Dijk resembles a graceful swan at times, gliding to make tackles and vital interceptions. He has the knack of being in the right places, and his presence has galvanised the side. Klopp had the formidable attack, and Van Dijk has given him the solidity at the back to mount a serious title challenge. Just like Van Dijk, Laporte was also a big-money defensive recruit. He was signed from Athletic Bilbao in January, making him City's costliest signing then. But it is looking like money well spent for the Cityzens. Laporte has been a model of consistency this season, starting all but one league game for City. His composure on the ball and astute positioning has been a boon. The Frenchman is of extra value to Guardiola given his left-footedness, which gives a balance in the center-back pairing. If anyone fancies themselves as a winger, have a go against Kyle Walker. Actually, don't. You'll come up short, just like a host of other Premier League players. Walker has taken his game to the next level since moving to Manchester, and he is one of the best defensive full-backs in the world. Walker was a crucial part of City's successful side last campaign, and it is the same this season. His pace, strength, and awareness make him a tough opponent for any attacker. Couple that with improved attacking calibre under Pep Guardiola, and you have the best right-back in the league.